Today’s Guests: Blake Bell and Michael Vassallo, co-authors, The Secret History of Marvel Comics. 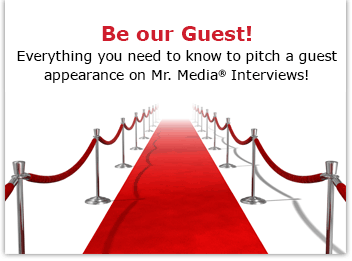 Watch this exclusive Mr. Media interview with Blake Bell and Michael Vassallo by clicking on the video player above!Mr. Media is recorded live before a studio audience of poorly compensated, rapidly disappearing World War II-era writers and artists hoping against hope that a court will decide on copyright claims in their favor before they—oops, too late … in the NEW new media capital of the world… St. Petersburg, Florida! 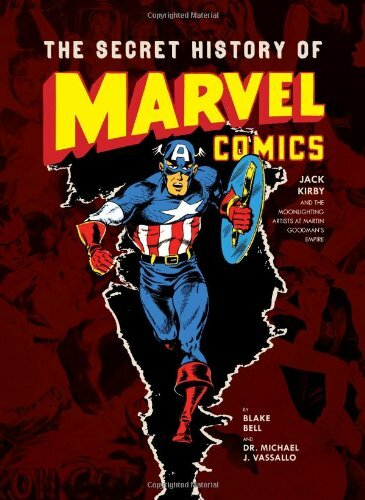 Order The Secret History of Marvel Comics: Jack Kirby and the Moonlighting Artists at Martin Goodman’s Empire by Blake Bell and Michael Vassallo, available from Amazon.com by clicking on the book cover above! So why would it be that hard to imagine that a gigantic publishing house might have a few skeletons in its closet? That’s the allure of The Secret History of Marvel Comics, a big new book by Blake Bell, author of Fire & Water: Bill Everett, The Sub-Mariner & The Birth of Marvel Comics and Strange and Stranger: The World of Steve Ditko and Michael Vasallo, an expert on Marvel Comics from the 1930s to the 1950s. 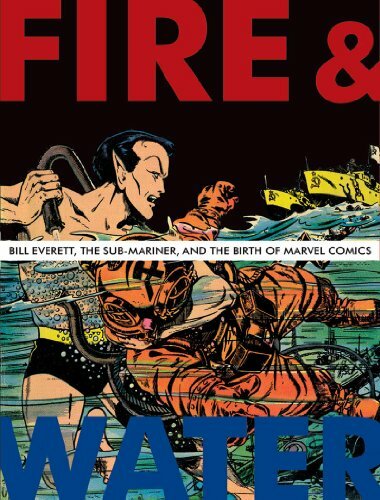 Order Fire and Water: Bill Everett, The Sub-Mariner, and the Birth of Marvel Comics by Blake Bell, available right now at a great price by clicking on the book cover above! Secret History delves into the business practices and trickery that established and grew the Hydra-headed publishing empire of the late Martin Goodman, the tight fisted, often unpleasant gentleman responsible, nonetheless, for giving the world his talented and far more charming nephew, Stanley Lieber. You probably know him better by his pen name—Stan Lee. 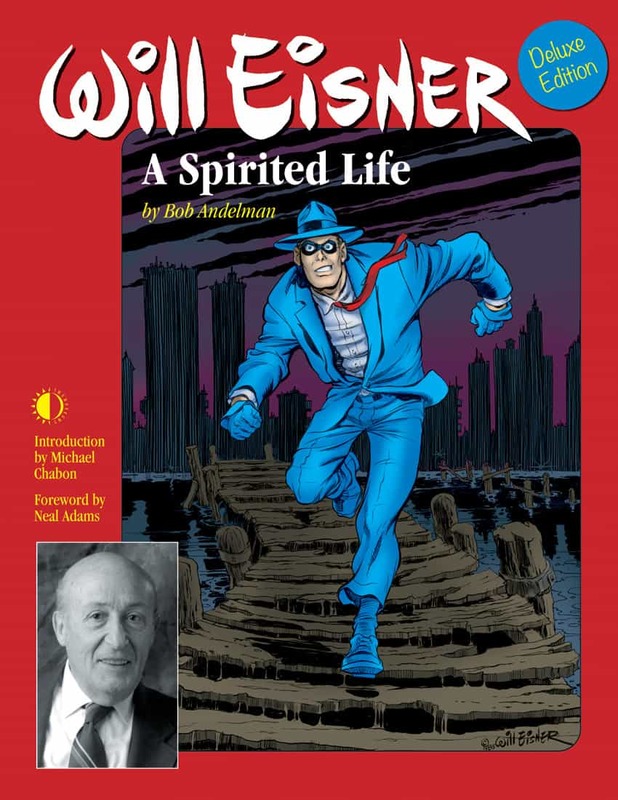 The book is packed with details of Goodman’s often unseemly practices, lack of appreciation for the many artists and writers he employed at slave wages, and the fact that he never did understand what made his one true and enduring success, Marvel Comics, succeed. Secret History, incidentally, covers quite a different chunk of time than Sean Howe’s 1960s centered book, Marvel Comics: The Untold Story. But collectors will probably be interested to read both. You can meet the authors—alongside comics artists Al Jaffee and Stan Goldberg—at the official book release event on Saturday, October 12, 2013, at 7 p.m., hosted by the Society of Illustrators, 128 E. 63rd Street, in Manhattan. 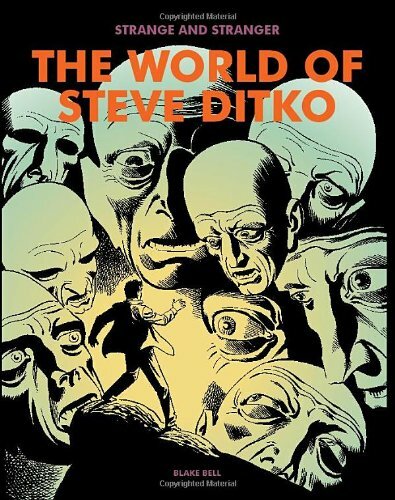 Order ‘Strange and Stranger: The World of Steve Ditko’ by Blake Bell, available from Amazon.com by clicking on the book cover above!